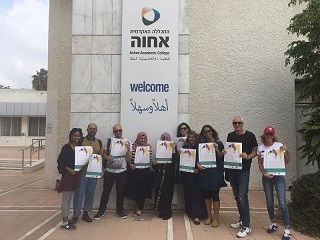 Partners in Shaping Reality establishes groups of Jewish and Palestinian university students and youth engaging in dialogue and action in campuses of universities and colleges in Israel. The program creates space for civil, political, and social discussions about the conflict and Arab-Jewish relations, and encourages social involvement and assuming responsibility for one’s social and political environment. 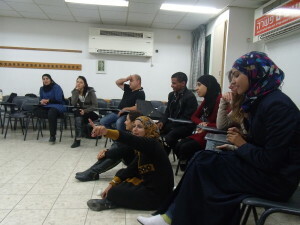 The project operates in areas where Jews and Palestinians come into daily contact with one another. These areas can become the focus of conflict, but they also have the potential to encourage learning about partnership and ways to reach consensus. Partners in Shaping Reality seeks to nurture common public space as a basis for civil, political and social partnership. * Each group participates in 15 meetings and runs two projects or initiatives in the campus area. * All groups’ participants come together in two weekend seminars along the year deepening their acquaintance with each other and with social change activists and initiatives. As tomorrow’s leaders, it is vital that young Palestinians and Jews are exposed to alternative viewpoints concerning the conflict, engage in dialogue, and nurture partnership based on solidarity.